I just got this great jump rope from Limm. This is a high quality jump rope and I have really enjoyed it. I got this jump rope for an exercise class that I have started taking. I needed a jump rope that would be great quality that I could use in a class setting. I love this one because it has foam handles, they are really comfortable to hold even if you are using it for an hour (like in my class) it doesn’t hurt your hands at all. The jump rope itself is made of a really high quality plastic material that even if I get clumsy (which happens often) and trip on it or step on it, it won’t break. It holds up really well and is a great durable material. I enjoy this jump rope and it works great. ✭ FULLY ADJUSTABLE! ✭ Quickly and easily adjustable down to your desired length within minutes! The rope has an original length of 9.8 ft.
✭ NO MORE TANGLING! ✭ Our Jump Rope features a high quality premium ball bearing that ensures the rope will turn smoothly and effortlessly along with you. ✭ ENJOY TOTAL COMFORT! 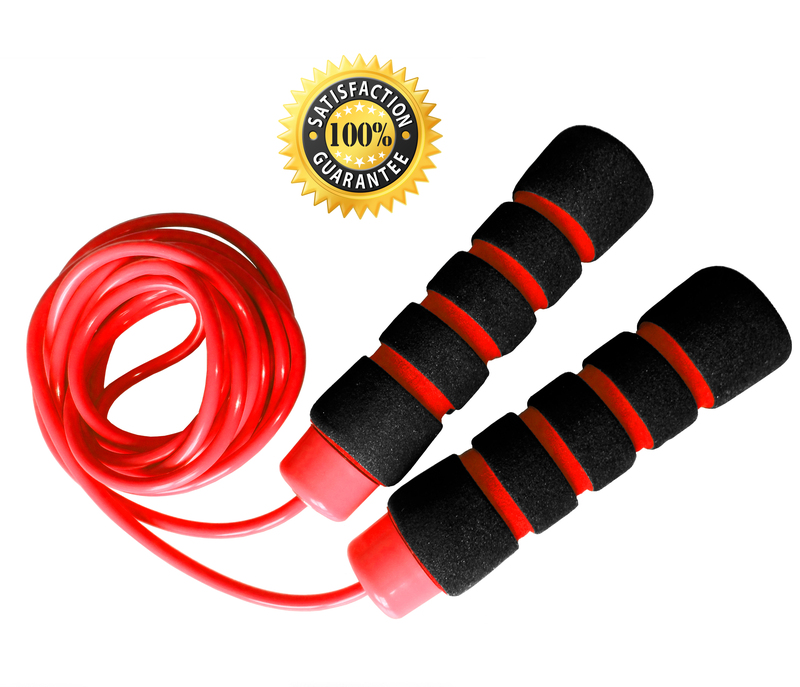 ✭ The ergonomically designed foam handles offer extra comfort not found in other jump ropes while also providing the firm grip you need to get the most out of your workout! Additionally, being feather-light makes it easily and conveniently carryable anywhere. ✭ EBOOK BONUS ✭ With your purchase you will also receive easy to follow sizing instructions and tips on how to get the most out of your rope. As our gift to you, you will also receive a BONUS eBook with valuable exercise tips to help you work out more efficiently. ✭ ABSOLUTELY NO RISK INVOLVED ✭ At Limm, we fully stand behind our product and offer you a no-questions-asked, 100% SATISFACTION MONEY-BACK GUARANTEE. If you don’t love your Limm Jump Rope or if you don’t feel 100% satisfied for any reason, we will fully refund your money. Customer satisfaction is our number one priority. So try it now! TOTALLY RISK FREE! would love to get this. thanks.